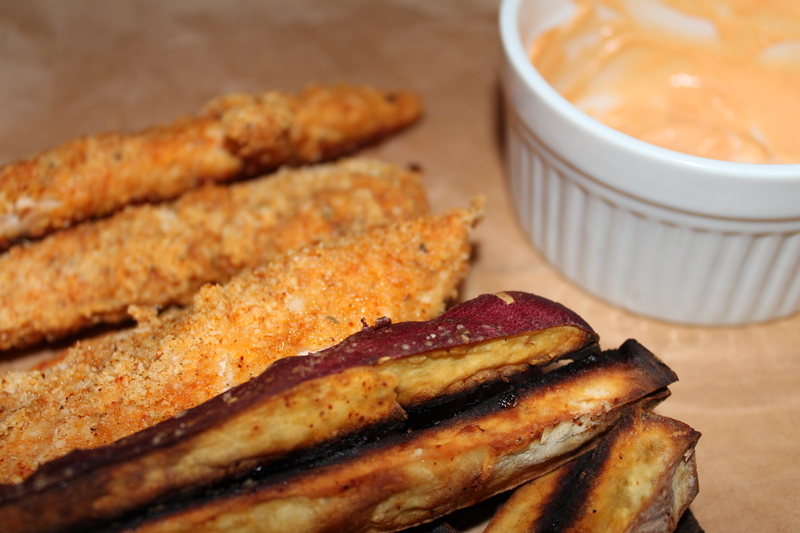 Chicken Fingers and French Fries healthy enough to eat for dinner or feed your kids with zero guilt. Enough said. Preheat your oven to 350 degrees. Line a baking sheet with parchment paper. In a medium bowl combine almond meal and spices. In a small bowl whisk the egg whites. One by one dip the chicken in the egg whites allowing the excess to drip off. Then, coat chicken in the flour mixture. Lightly spray each side of the chicken with cooking spray and lay flat on the baking sheet. Bake for 20-25 minutes, until golden brown and cooked through. Preheat your oven to 350 degrees. Line a baking sheet with parchment paper. 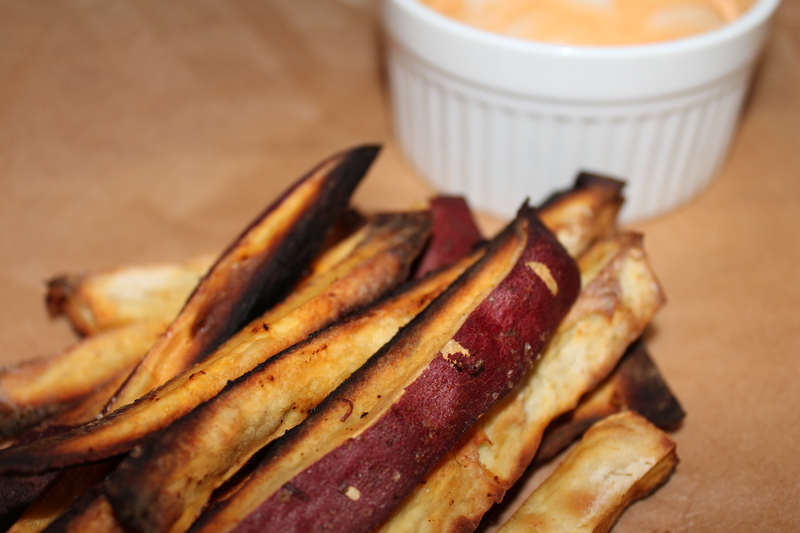 Place the fries on the baking sheet and coat with the olive oil, sea salt and chili powder. Bake for 45 minutes, turning once. Simply mix the mayo with as much Sriracha as you want.